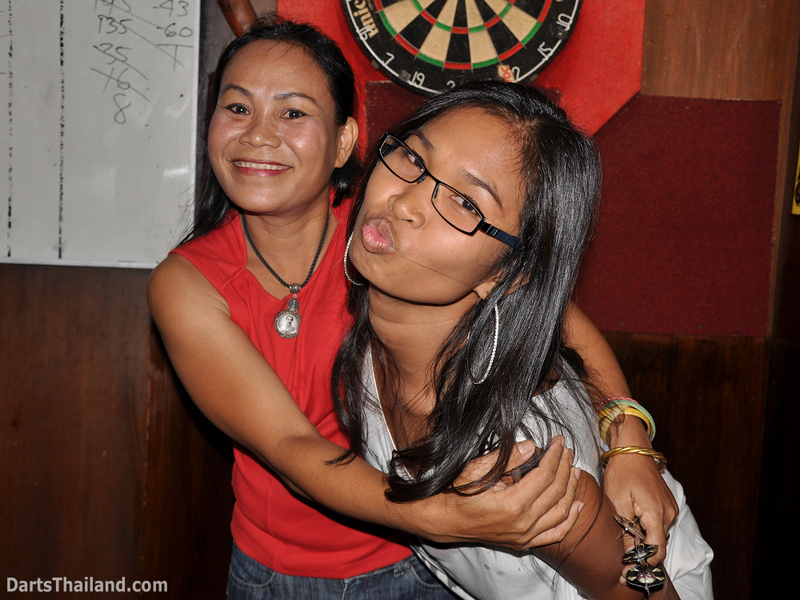 One of Bangkok’s most popular darts tournaments was the Ladies Darts Knockout. As darts events go – this was a surefire, guaranteed win/win for all concerned – participants, audience and host venue as well. 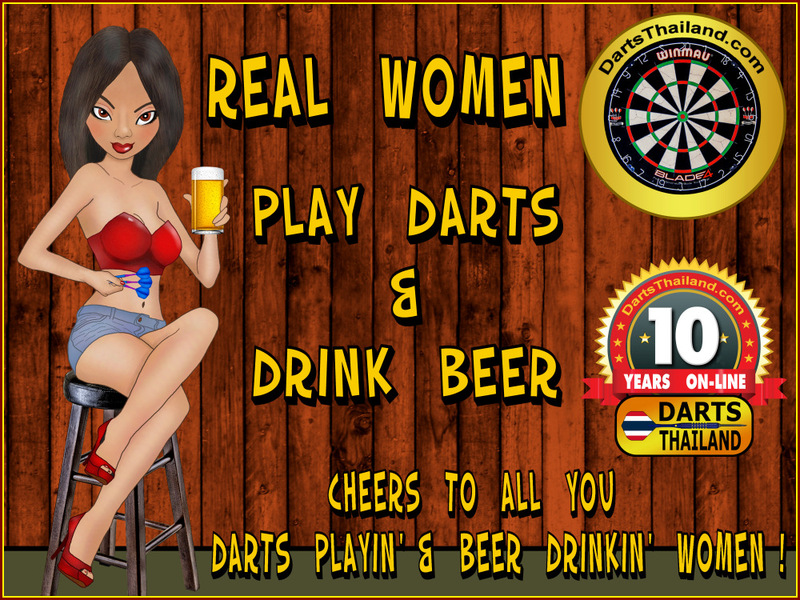 “Men – come out and drink beer, watch the lovely ladies in serious darts competition & cheer on your favorite gal.” Talk about a fail-safe strategy to pack out a pub with thirsty darts enthusiasts. Some of the more chivalrous men possessing an advanced mathematics ability (able to do subtraction) even volunteered their service keeping score for the gals. 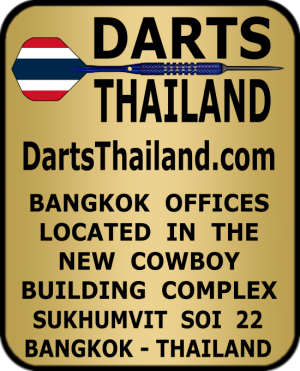 Recently our good friend Tom – owner of the successful and expanding Buddy’s Bar (now three Bangkok locations) stopped into New Cowboy Darts Club. 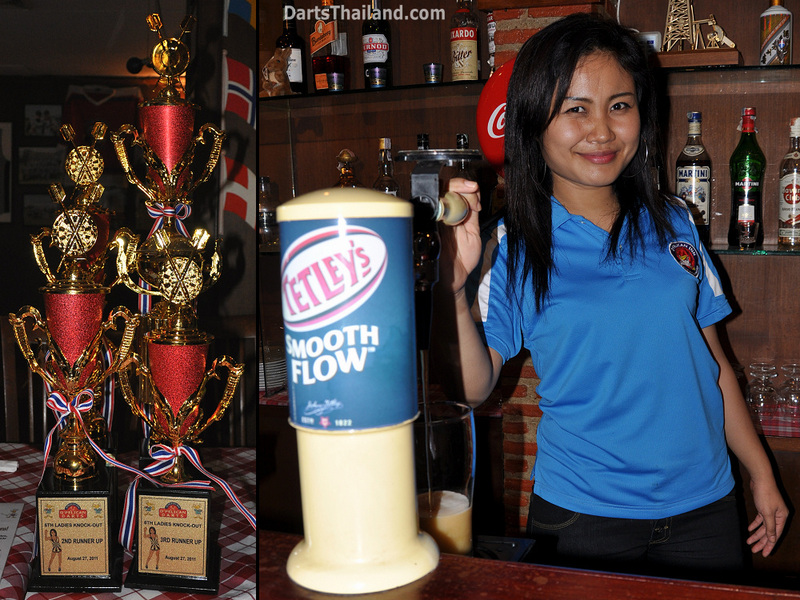 Over a beer with DT’s own Johnny – they reminisced about the fun and success of the Ladies Knockout darts events. The very first of these events was held in New Cowboy – photo still on their wall. It imminently proved so popular that it was easy to see that future events would require a larger venue. 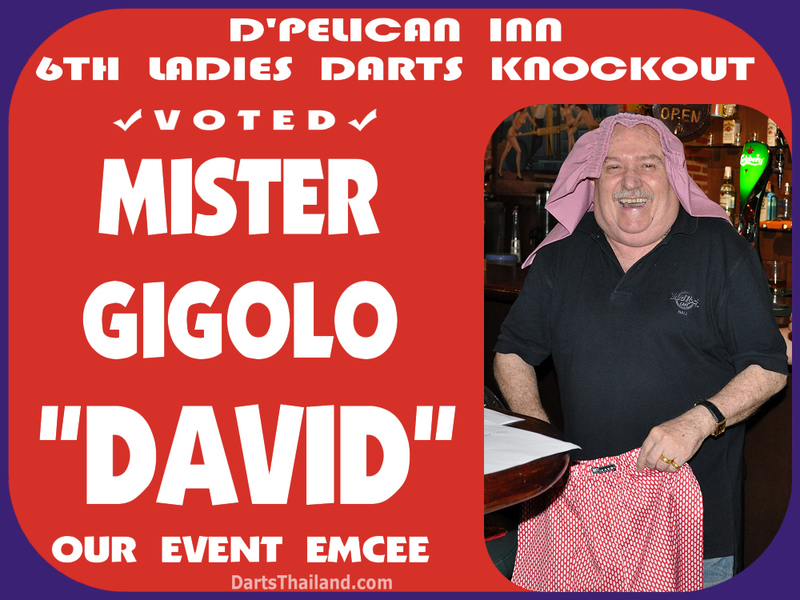 An easy decision – Tom then operated the popular D’Pelican Inn – already considered the darts clubhouse for the popular LSDL (Lower Sukhumvit Darts League). 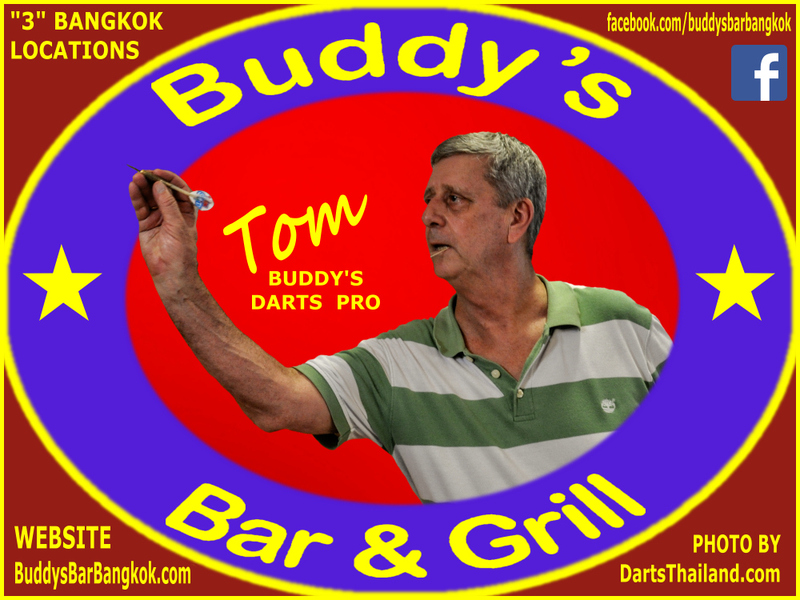 Tom is a longtime supporter of Bangkok darts. His D’Pelican Inn was the regular LSDL end-of-season party venue never failing to provide a massive, sumptuous food spread. 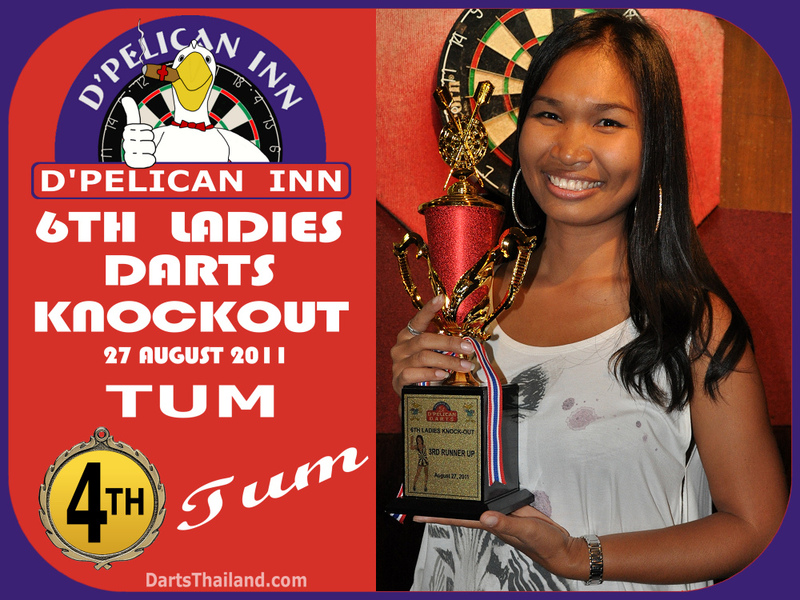 D’Pelican was one of the larger Bangkok venues – able to easily add a second dartboard. Ever their outdoor overflow area was larger than most other bars in the league. 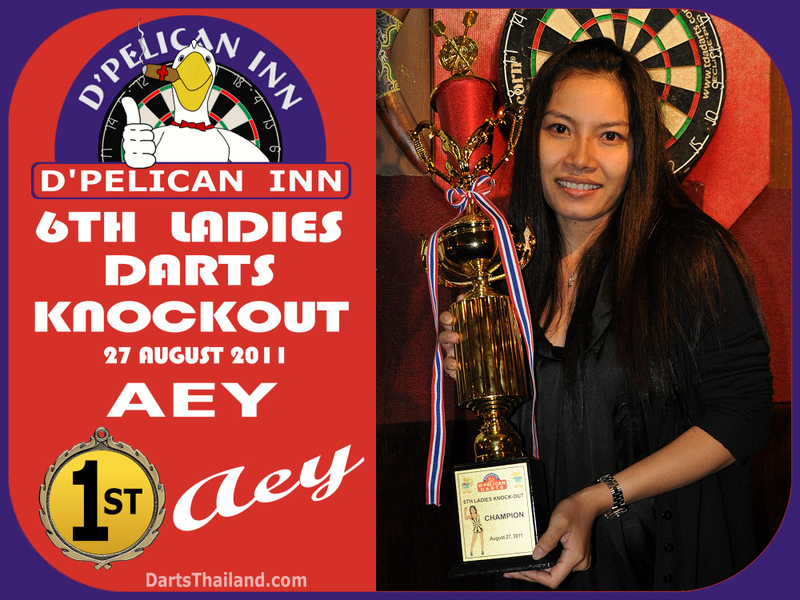 This proved the perfect venue for the Ladies Darts Knockout – where Two – Six were held. Sadly D’Pelican is now only a fond memory and Tom’s current Buddy’s Bar locations are not large enough for such an event. Now this brings me to one of my main points of this article. 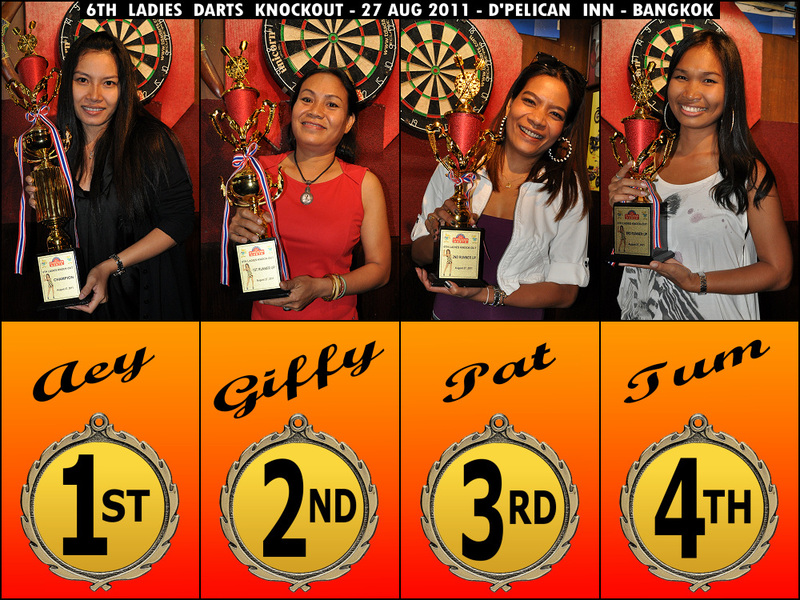 Why hasn’t one of Bangkok’s larger darts venues continued on with such a popular, surefire successful darts event? 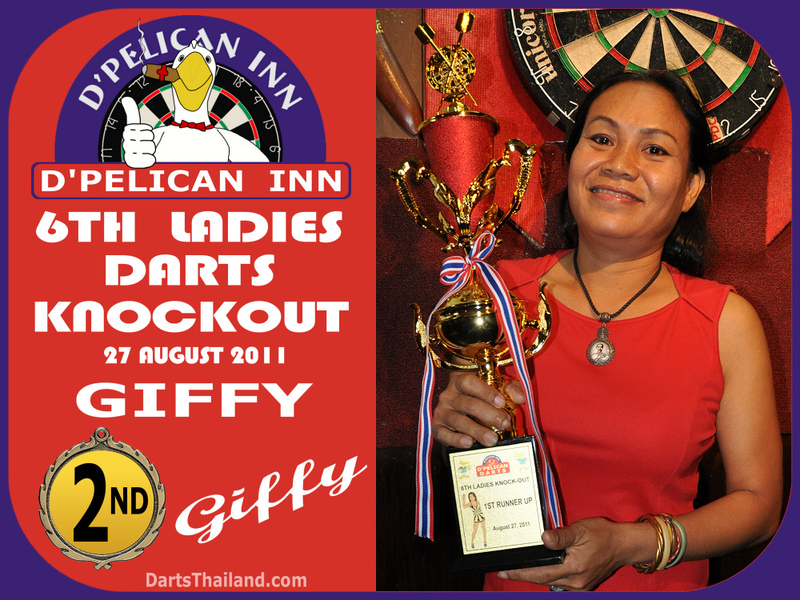 It’s now been six years since the last Ladies Darts Knockout. Maybe – hopefully – someone with a large enough darts venue will read this and pick up on setting up a Ladies Darts Knockout. And obviously this is not restricted to Bangkok darts venues. 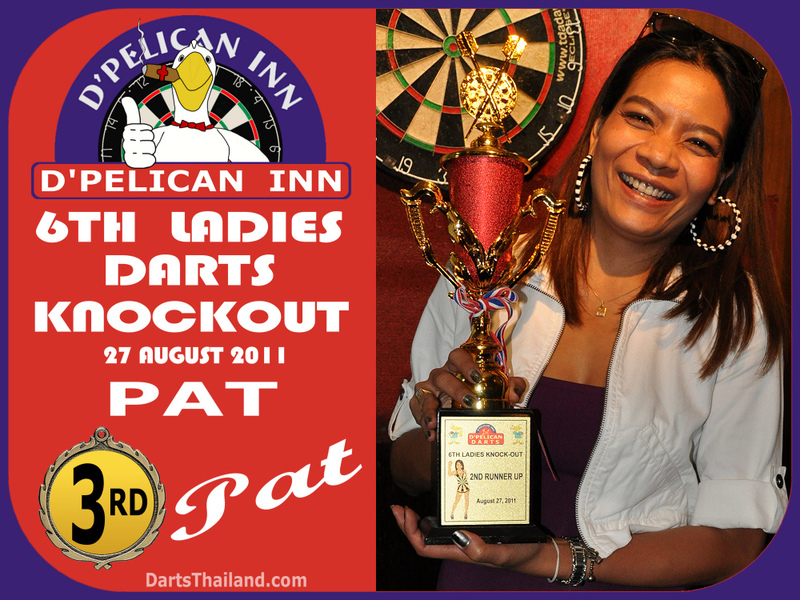 I can easily think of darts venues in Pattaya, Jomtien, Chiang Mai, Hua Hin and Phuket that could run a successful Ladies Darts Knockout. We’ll spotlight Tom’s 3rd and newest Buddy’s Bar when our “On The Road” crew returns to Bangkok next month. But you can always check them our on their webpage or FaceBook page. If you have any further questions about setting up a Ladies Darts Knockout – contact us here at DT and we’ll be more than happy to give you all the information and or support that you require.